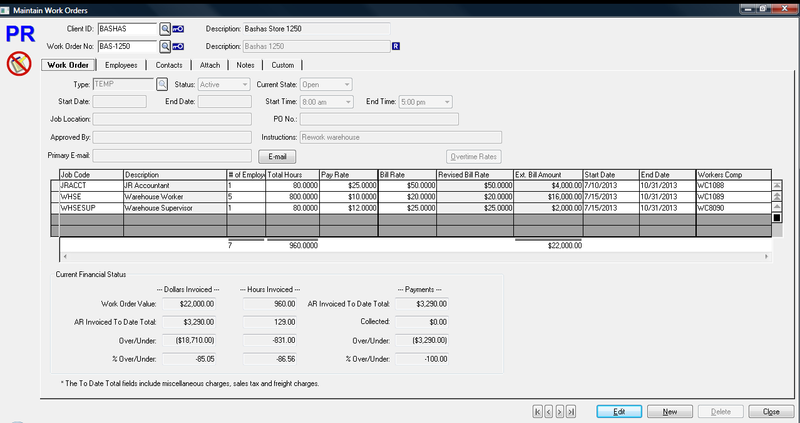 The Work Order dialog functions both as an entry screen for new Work Orders and a dashboard of historical & financial information. CYMA offers an optional component of Payroll, Billing and Receivables specially integrated for the needs of temporary staffing companies and other organizations that need to place employees on assignment, pay and bill different amounts based on assignment and job function and track the billing, payroll and budgeted amounts for employees on different assignments at multiple locations. Once configured, Staffing "employees" remain separate from company employees for payroll purposes. These employees can be active or inactive and remain in the system for skill lookup and reporting. A master Work Order screen provides an entry screen for new Work Orders and a dashboard of existing Work Order activities. 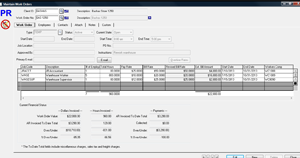 Posting Payroll, updates both Payroll and Billing simultaneously. Click on benefits & features for more information or call CYMA at 800-292-2962 for more details.